Charles Noble, Fumino Ando, Pansy Chang, and Shin-young Kwon backstage at the Salem Library, Sunday, April 9, 2017. 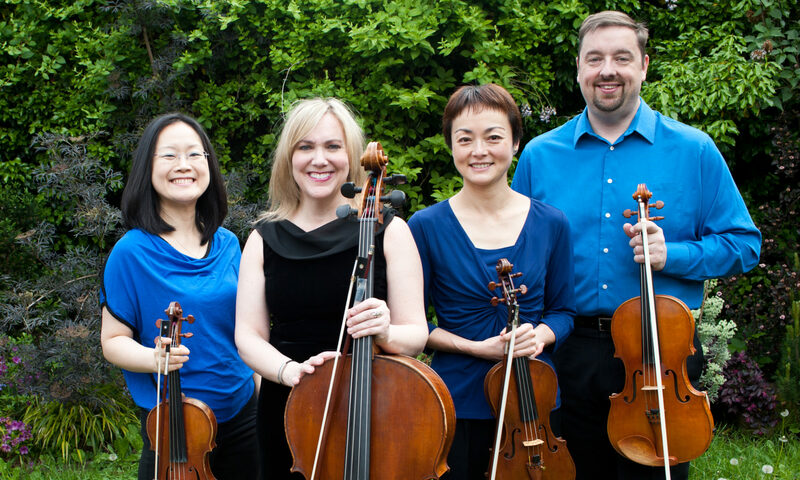 Today we played our annual concert on the Salem Camerata Musica series at the Salem Public Library. We were originally scheduled to play at the end of January, but I needed to attend to my mom’s affairs following her passing on January 26th. George Struble, director of the series, kindly found a new performance date for us, which we all appreciated very much. It was strange to revisit a program that was all ready to go in late January at the beginning of April. Luckily, everyone kept the pieces in their fingers, and things went together pretty quickly, all things considered. 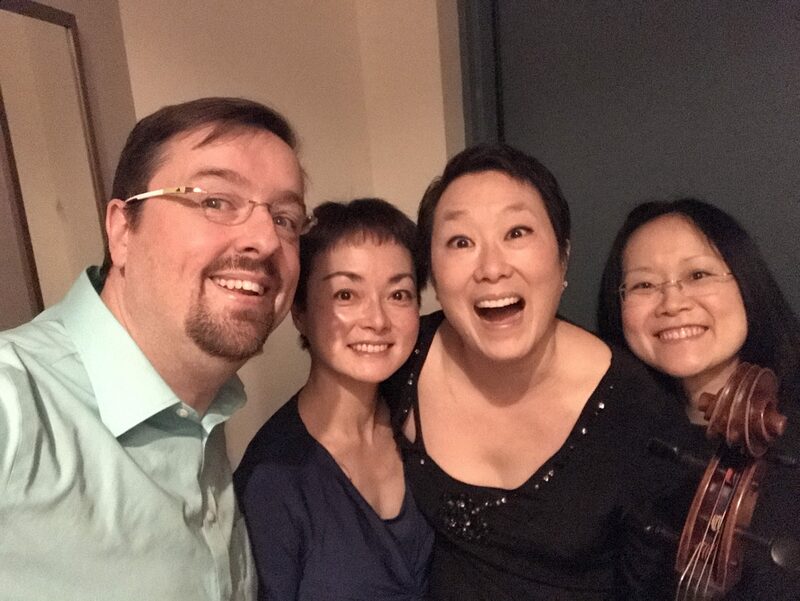 I’m so grateful to my wonderful colleagues, Shin-young Kwon, Fumino Ando, and guest cellist Pansy Chang, for being flexible in the face of a family crisis, and for playing so beautifully today. This wraps up our 2016-2017 season. We’re not sure what’s in store for next year, but watch this space for announcements coming at the end of the summer. Thank you for your support!